I see several I would love to have! As always, thanks for the chance. What a nice thing to do. Nothing will ever repla ce books. Oh my! I would love to win..love classic books! If you want to meet new people, venture to faraway places, or experience new things; read a book! I LOVE Books! A wonderful collection, count me in! These are great! This is my first time entering; thanks for hosting such an awesome contest. Also - I LOVE LOVE LOVE those bookends. I just stumbled across your bookmarks book on Amazon and came here. What a fantastic blog! Thank you for sharing your finds with us! Soooo want these! Lovely books!!! Lovely books! Would love to win one of these!!!! There's just something reassuring about well-loved books. Ooh, I would love to have that vintage 'Les Miserables'! I never went to Harvard but I know good book's when I see them.Good luck to me. What a fantastic giveaway! Thank you for offering! As usual great giveaway! Thank you! Those look lovely! I feel like a little girl raising her arm and shrieking "pick me, pick me!" What a collection! 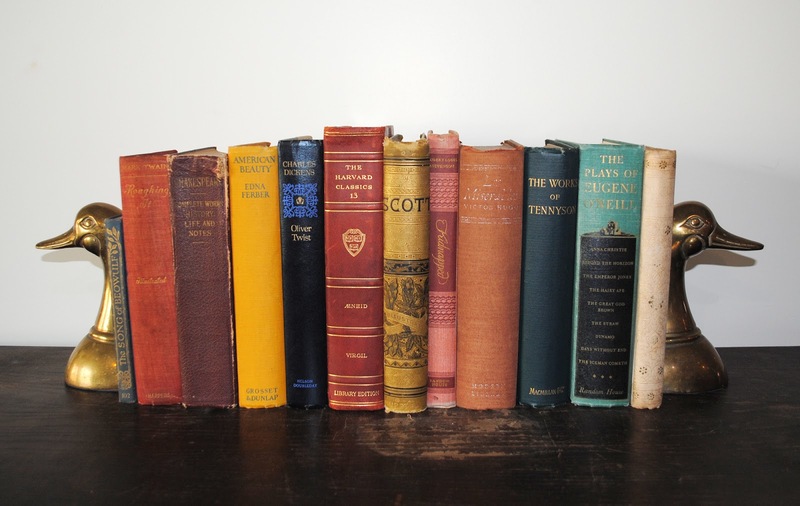 I am a vintage book lover and I cherish mine immensely, these would be a lovely addition to the lot.